Douglass began teaching other slaves to read in clandestine Sunday School settings, one of which was violently broken up when the slave-owners discovered it. Eventually, disguised as a sailor, he made his daring escape to the northern states and won a tenuous freedom as a fugitive slave. Soon his incredible speaking gifts and his story made him a key player in the abolitionist movement in America. Preaching from church to church, and speaking from meeting to meeting he quickly became one of America’s most famous orators. In fact, scepticism that he was the real deal was a spur to autobiography: an audience member stated that Douglass could not possibly have accomplished such learning and oratorical skill because he recognised him as the former slave Fred Bailey. Douglass thanked his self-contradicting opponent for inadvertently verifying his story and began work on his Narrative. He travelled to Ireland, England, and Scotland commanding enthusiastic crowds. Several British abolitionists organised payment to Thomas Auld, Douglass’s legal ‘owner’, to release him permanently from slavery. This payment of £150 was obviously controversial for some of the abolitionists but for Douglass it legally ensured his freedom on American soil. In America he vigorously campaigned against slavery, launched and edited a newspaper, and continued to expose and rebuke the hypocrisy of religious slaveholders. In the post-war period he worked for the full civil rights of freed slaves, as well as supporting women’s rights in the US. He later served in a variety of positions for the US government as a member of the Republican Party. You can read more about his life and work in David Blight’s excellent biography Frederick Douglass: Prophet of Freedom, Simon & Schuster (Oct 2018). ‘The historical and continuing impact of racism on African American lives is hard to exaggerate. As some have remarked, for several centuries after the forced arrival of blacks from Africa as slaves from the 17th century onwards, they had to suffer under a system of affirmative action for whites. The formal emancipation of the slaves resulted only in an extraordinarily lop-sided playing field on which it was impossible for the blacks to enjoy equal opportunities without serious redress and redistribution to counter generations of cumulative inequality. The latter never occurred. When my wife and I first moved to South Africa we employed a gardener. This was a new thing for us. In the UK and the USA I was the one who struggled with the lawnmower. In South Africa you employed people to do that. We became aware that there was a kind of emotionally remote relationship to gardeners, cleaners and so on. It felt different than just employer/employee. The difference was more pronounced. And it was racial. I have never heard of a white cleaner, or gardener in this part of the world. One day, between the digging and the weeding, I asked our gardener what his interests were, or if he had studied. He said he used to have a keen interest in history. My face lit up! This was a great connection! ‘But why? How can you hate ‘history’?’ said Mr Stupid. I understand that it is quite natural for me, as a white man, not to want ‘my nose rubbed in it’, yet I don’t see how I can assist, support, or generate change in my context without at least attempting to understand, and to feel, something of the struggle and pain of others. ‘I assert most unhesitatingly, that the religion of the south is a mere covering for the most horrid crimes,—a justifier of the most appalling barbarity,—a sanctifier of the most hateful frauds,—and a dark shelter under, which the darkest, foulest, grossest, and most infernal deeds of slaveholders find the strongest protection. Were I to be again reduced to the chains of slavery, next to that enslavement, I should regard being the slave of a religious master the greatest calamity that could befall me. For of all slaveholders with whom I have ever met, religious slaveholders are the worst. I have ever found them the meanest and basest, the most cruel and cowardly, of all others. These things are surely not easy for anyone to process. Acknowledging the terrible crimes of history ought not push us away from the Christian faith, properly understood and applied. That’s not Douglass’s point. He appeals for genuine Christianity to rebuke the counterfeit. We’re going back to the 18th century today, just briefly. 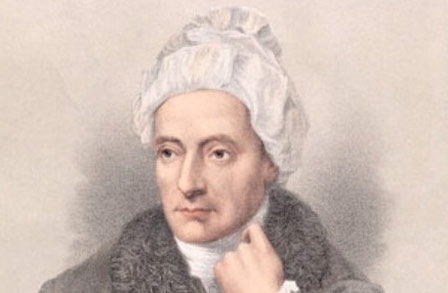 As I sat reading a selection of William Cowper’s poetry this morning I wondered how many people still read him. He is not a difficult poet and may be unfairly overlooked these days because he is overtly Christian. 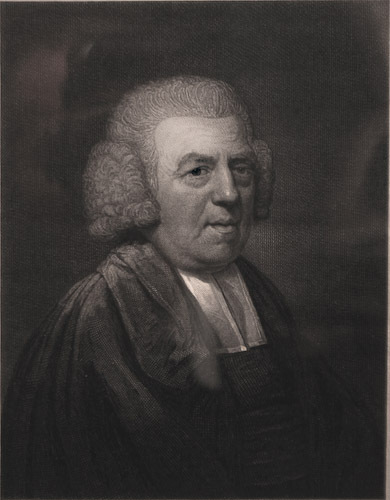 Cowper was a contemporary of William Wilberforce and a friend of John Newton. He was too young to have seen much of the early years of Whitefield and Wesley’s preaching but was certainly impacted by the gospel message they preached. 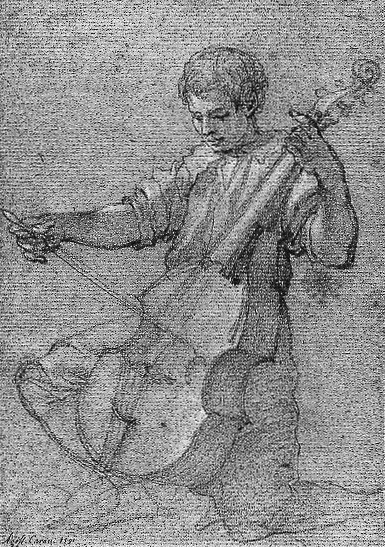 His huge popularity as a poet existed not only because his Christian hymns were popular in the churches, but because of his notable skill as a poet. I am reprinting here a section of his beautiful poem To Mary. In their later years Mary Unwin and Cowper had been engaged and the love between them was very tender although they never married. He was at her side as her health declined in her final illness. These verses take us right to her bedside. We see his devotion to her even though she can no longer communicate verbally, we share the thrill of her minute but definite responses to his love. No wonder Tennyson said that this poem was too touching, too moving, to be read out loud. What sight worth seeing could I see? I suppose the ‘wow’ moment for me was the intensely touching lines, as Cowper sits by the bedside of his dying love. It reminds me of a comment Billy Graham made about his wife Ruth when she was bedridden, how they could experience such ecstatic romance by simply staring into each other’s eyes for long periods of time and know their love was as complete and fulfilling as it could ever be. And maybe grab hold of some of his poetry from your local bookstore. A couple of years ago I was invited to address nearly 2000 people on the subject of Judaism. The basis of the invite was simply that I have tried to be diligent to share the Christian faith is as winsome and respectful way as I can. The message I was to bring was part of a series on different belief systems and how Christianity interacts with those systems. I accepted the challenge even though I am far more comfortable discussing the atheism that I grew up with. Of course I have been enjoying (and studying) the Hebrew Scriptures for over thirty years and am very conscious that it is because of the world’s most influential Jew, Jesus of Nazareth, that I, along with millions of other Gentiles, have come to love the writings of Moses, the Psalms of David and the prophecies of Isaiah. As I did some additional background reading I came upon a fascinating list of influential Jews who declared their belief that Jesus is indeed the promised Messiah. The following examples may go some way to counter the argument that it is only ignorant or poorly educated Jews who believe that Jesus is the Messiah, or at least not those familiar with real Judaism. Obviously this is merely a partial list but it may be of real interest to others who are on a spiritual journey and are considering the claims of Christianity. Alfonso de Zamora, a Rabbi, publicly declared his faith in Messiah Jesus in 1506. Working with Paul Nunez Coronel and Alfonso d’Alcala, two other Jewish believers, he uses his knowledge of Hebrew, Aramaic, Chaldean, and other languages to help develop a six-volume multilingual work known as the Polyglot Bible. He also writes a Hebrew grammar, a Hebrew dictionary, a dictionary of the Old Testament, and a treatise on Hebrew spelling. Immanuel Tremellius came to faith in Messiah around 1530 and became Professor of Hebrew at Cambridge University in 1548. He later becomes Professor of Theology at Heidelberg, where he produces a Latin Old Testament that is published in Frankfurt in the 1570s and London in 1580. With Theodore Beza’s Latin New Testament attached to it, the Tremellius Bible is the Protestant contender against the Vulgate issued by Pope Sixtus V in a Reformation vs. Counter Reformation battle of Latin bibles. Johannes Isaac came to faith in 1546. He became a professor of Hebrew at the University of Cologne. Malachi ben Samuel, a Polish Rabbi, comes to faith in Messiah around 1621, several years after being impressed by a Yiddish translation of the New Testament. He is particularly surprised that marginal references to the Hebrew Scriptures are not distorted, as he had been told they would be. He writes, “My heart became full of doubt. No man can believe the pain and ache that assailed my heart. I had no rest day or night…. What should I do? To whom should I speak of these things?” He finally feels he has no choice but to believe. Giovanni Jonas came to faith in Poland in 1625 and, working as a librarian, writes a Hebrew translation of the Gospels and a Hebrew-Chaldee lexicon. Esdras Edzard, who grew up studying Hebrew and the Talmud, and then studied in Leipzig, Wittenberg, and Basel, earns a doctorate and begins working among the Jews of Hamburg. He provides free instruction in Hebrew, helps the poor, and explains faith in Messiah to all. From 1671 to 1708 Edzard leads 148 Jewish people to faith. He emphasizes further study for those coming to faith, and almost all of those who joined him continue in faith. John Xeres counteracts the slur that Jewish believers in Jesus are not well educated in Judaism by emphasizing his Talmudic studies. Others on the list of learned Jewish believers include Ludwig Compiegne de Veil, Friedrich Albrecht Augusti, Paul Weidner, Julius Conrad Otto, Johann Adam Gottfried, and more. Rabbi Judah Monis, after becoming the first Jewish individual to receive a college degree in America (M.A., Harvard, 1720), publicly embraces faith in Messiah Jesus. In 1735 he publishes a Hebrew grammar, the first to be published in America. Seelig Bunzlau, a revered German Rabbi, announces from the pulpit of his synagogue that he is has placed his faith in Messiah. William Herschel, a Jewish believer, using a telescope he designed and constructed, discovers the planet Uranus. Herschel also fixes the positions of 2,500 nebulas, of which only 103 had previously been known. He infers the existence of binary stars, and then identifies 209 such pairs of stars that revolve around a common center. He discovers the infrared rays of the sun, defines and explains the composition of the Milky Way, and makes many other discoveries. Joseph von Sonnenfels, a distinguished jurist in Vienna and a Jewish believer, lays out the principles for the Edict of Toleration regarding Jews that Austrian emperor Joseph II announces. Joseph Samuel Frey, a Hebrew teacher and cantor, organizes the London Society for Promoting Christianity Among the Jews. He later comes to the United States and continues efforts to organize Jewish believers. August Neander (born David Mendel) becomes Professor of Church History at the University of Berlin, where the influential Friedrich Schleiermacher also teaches. One observer comments on the “sad and singular sight” of “Schleiermacher, a Christian by birth, inculcating in one lecture room with all the power of his mighty genius, those doctrines which led to the denial of the evangelical attributes of Jesus.” Meanwhile, in another room “Neander, by birth a Jew, preached and taught salvation through faith in Messiah the Son of God alone.” Neander writes many scholarly books, including the multivolume General History of the Christian Religion and Church. Before his death in 1850 he goes blind, but dictates notes for the last section of his church history on the last day of his life. Rabbi Michael Solomon Alexander comes to faith Messiah in 1825 after concluding that Rabbis had concealed the truth about Jesus; seven years later he becomes Professor of Hebrew and Rabbinical Literature at King’s College, London. His name comes first on the long list of those who signed a “protest of Jewish Christians in England” against the false accusation that Jews used Christian blood in Passover rites. When the British Parliament endows the position of Bishop of Jerusalem, the appointment goes to Alexander; in Jerusalem, he opens both an institution for the training of Jewish believers and a hospital for the sick Jewish residents of Jerusalem. Felix Mendelssohn, Jewish believer and grandson of the great Jewish philosopher Moses Mendelssohn, writes his overture to A Midsummer Night’s Dream. He brings new public attention to Bach’s music, composes the Elijah and St. Paul oratorios, and arouses the resentment of anti-Semites by helping Jewish musicians. He composes the music to “Hark the Herald Angels Sing” and harmonizes “Now Thank We All Our God,” among other hymns. Joachim Raphael Biesenthal, a Jewish believer, begins 37 years of ministry within the Jewish communities of Germany. He uses the knowledge gained in Talmudic academies and while earning a doctorate at the University of Berlin to write commentaries on many New Testament books as well as a History of the Christian Church that shows the strong Jewishness of the early church. Carl Paul Caspari, a Jewish believer, begins teaching at the University of Christiana in Norway. He writes commentaries on many Old Testament books and, at a time when Christianity is under attack, stands for orthodoxy and becomes known over the following 45 years as “the teacher of all Scandinavia.” He also writes an Arabic grammar that becomes a standard work. Lawyer David Gustav Hertz becomes a municipal official in Hamburg, Germany, and holds various positions over the next 45 years. He works for reform of the justice and prison systems at a time when doing so put an individual at risk from those with a vested interest in corruption. Daniel Landsmann, a Jerusalem Talmudic scholar came to faith in 1863, is almost killed-but by his own people, angered that someone well educated in Jewish tradition should become a believer in Jesus. His faith in Messiah began when he finds upon the street a page in Hebrew torn from a book. He loves what he reads, and when he later finds out that it is the Sermon on the Mount, he thinks differently about Jesus than he did before. When he tells all that he believes Jesus is the Messiah, his wife leaves him, one fanatical group puts spikes in his hands, and another tries to bury him alive. He finally moves to New York City and, with a wealth of Talmudic knowledge and a humble spirit, moves many to consider Messiah. Benjamin Disraeli, a Jewish believer, becomes Britain’s prime minister. Disraeli, both the Conservative Party leader and the author of many popular books, emphasizes Christianity’s dependence on Judaism: “In all church discussions we are apt to forget the second Testament is avowedly only a supplement. Jesus came to complete the ‘law and the prophets.’ Christianity is completed Judaism, or it is nothing. Christianity is incomprehensible without Judaism, as Judaism is incomplete without Christianity.” He hopes that Jews “will accept the whole of their religion instead of only the half of it, as they gradually grow more familiar with the true history and character of the New Testament.” Throughout his career in Parliament he very publicly attacks those with anti-Semitic views, often with biting wit, and shows himself to be a proud Zionist. In a statement to Queen Victoria, he said: “Your Majesty, I am the blank page between the Old Testament and the New”. Isaac Salkinson of Vienna translates Milton’s Paradise Lost into Hebrew. Over the next 15 years he translates into Hebrew Othello, Romeo and Juliet, and then the Greek New Testament. Joseph Schereschewsky, a former Lithuanian Rabbinical student, is consecrated as the Episcopal Church’s Bishop of Shanghai. In 1879 he lays the cornerstone for St. John’s College, the first Protestant college in China. Regarded by the Academic community as one of the most learned Orientalists in the world, he also translates the Bible into both Mandarin and colloquial Chinese and stays at his translation tasks even though partially paralyzed and unable to speak. Alfred Edersheim finishes seven years of writing The Life and Times of Jesus the Messiah, which becomes the standard scholarly work in English for the next 100 years. Born in Austria, he serves as a minister in Scotland and a lecturer at Oxford. Four other major books of Biblical scholarship would flow from his pen. Talmudic scholar and lawyer Joseph Rabinowitz comes to faith in Messiah Jesus in 1885, and, through writings and lectures, begins influencing Russian Jews to become “Sons of the New Covenant.” He draws up a list of 12 articles of faith, patterned after Maimonides’s 13 principles, but proclaiming Jesus as the Messiah. He forms one of the early Messianic Congregations. Leopold Cohn, a Hungarian Rabbi, comes to believe that Jesus is the Messiah. An outraged Jewish community forces him to flee, so he studies at divinity school in Scotland, emigrates to the United States with his family, and begins to hold meetings in a heavily Jewish section of Brooklyn that demonstrate that Jesus is the Messiah. Later he opens a medical clinic and a kosher food kitchen, and delivers free coal to the Jewish poor. 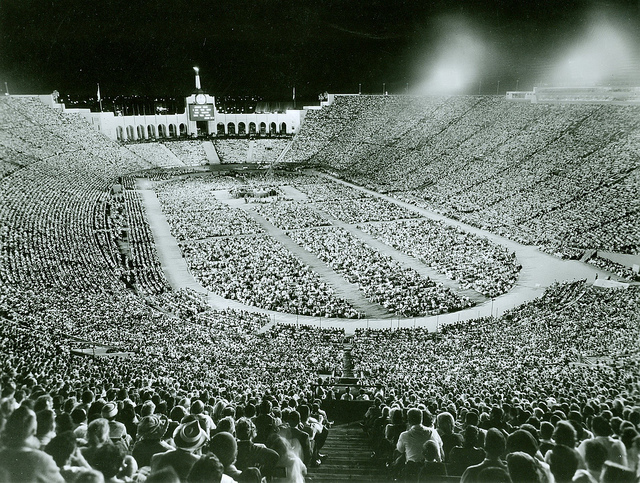 The outreach he started grew into “Chosen People Ministries”, an International organization. Louis Meyer, a Jewish Doctor & Surgeon and immigrant to Cincinnati from Germany, come to faith. He goes on to receive a degree from an evangelical Seminary in Pittsburgh. His scholarship is recognized and he becomes one of the editors of The Fundamentals, the 90 essays produced between 1910 and 1915 to explain the difference between Biblical faith and Liberal Protestantism. An emigrant from Poland to England, David Ginsburg, publishes a scholarly work including (in 1894) The Massoretic-Critical Text of the Hebrew Bible. Max Wertheimer, after serving for 10 years as a Rabbi in Dayton, Ohio, publicly declares his faith in Messiah. He then goes to an evangelical seminary, eventually becoming a Pastor. He recalls, “I had tried to get some tangible comfort out of the Talmud, Mishnah, and Rabbinical doctrines, but found none that satisfied my soul’s hunger and longings.” In studying the New Testament, though, he sees that the Christian doctrines he had derided as illogical and un-Jewish are sensible and truly Jewish. Niels Bohr wins the Nobel Prize for Physics for his work on atomic structure. In 1939 he visits the United States and spreads the news that German scientists are working on splitting the atom. The United States responds with the Manhattan Project, from which the atomic bomb emerges. In 1942 he escapes from German-occupied Denmark via a fishing boat to Sweden, and leaves there by traveling in the empty bomb rack of a British military plane. He makes it to the United States and works on the atomic bomb at Los Alamos. Morris Zeidman of the “Hebrew Christian Alliance of America” appeals for help for the Jews and Jewish believers of Poland, Germany, and Austria, where “sorrow is turning into despair. They can see no hope, not a gleam of light or kindness anywhere…. We must help, if we have to sacrifice a meal a day. Surely those of us who eat three meals a day can afford to spare the price of one meal for our persecuted brethren in Central Europe.” Zeidman was also well known for his relief work among the poor in Toronto and across Canada during the Depression. As a result, Rabbinical Jewish leaders call him a heretic, excommunicate him, proclaim a fast of several days in atonement for his “treason,” and mourn him as one dead. Zolli responds, “When my wife and I embraced the church we lost everything we had in the world. We shall now have to look for work: and God will help us to find some” Zolli would become a writer and teacher. Dr. Boris Kornfeld, imprisoned in a Soviet concentration camp for political reasons, talks with a devout Christian and comes to believe in Messiah. In his position as Doctor of the camp, he tries to help starving prisoners by refusing to sign papers that will send them to their deaths, and he reports to the camp commandant an orderly who is stealing food from prisoners. One day he talks at length about Messiah with a patient who has just been operated on for cancer. That night the orderly has his revenge and Dr. Kornfeld is murdered, but the patient ponders his words, becomes a Christian, and eventually writes about Kornfeld and conditions in the Gulag. The patient’s name: Alexander Solzhenitsyn. Ernest Cassutto, of Sephardic Jewish heritage, establishes Emmanuel Hebrew Christian Congregation near Baltimore, Maryland. Casutto was a Holocaust survivor who had lost his parents and fiance during the war. In the year 1969 Dr. Bernard Nathanson, former student of Karl Stern, a noted Neuropsychiatrist, runs the largest abortion clinic in the world, and co-founds the National Association for the Repeal of Abortion Law. After being involved directly or indirectly in over 75,000 abortions (including one of his own child). In the late 1970s he does a complete turn-around and becomes a leading pro-life advocate and produces an effective video, The Silent Scream. Contact with Christian pro-life workers gets him thinking about the source of their dedication: “They prayed, they supported and encouraged each other, they sang hymns of joy…. They prayed for the unborn babies, for the confused and pregnant women, and for the doctors and nurses in the clinic…. 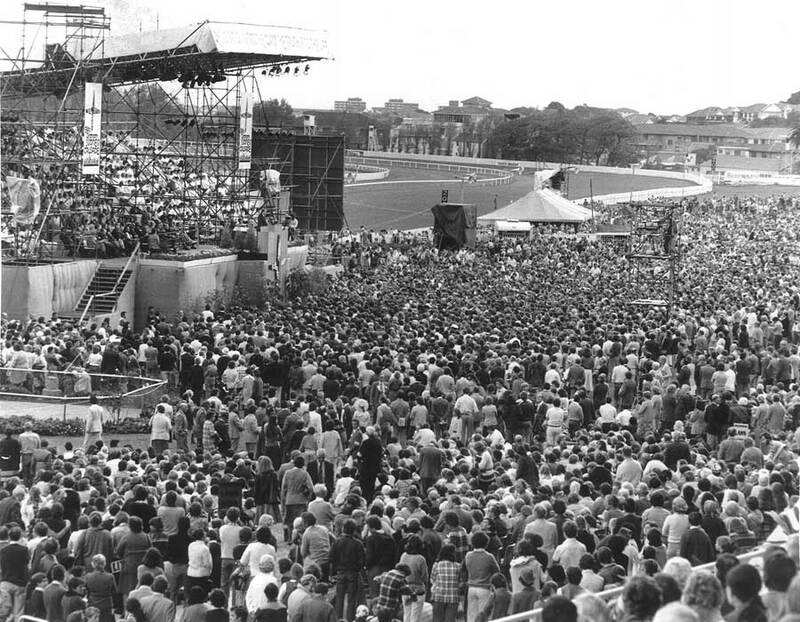 And I wondered: How can these people give of themselves for a constituency that is (and always will be) mute, invisible, and unable to thank them?” Around 1990 Nathanson becomes a believer in Jesus. Lawrence Kudlow expresses faith in Messiah after emerging from a battle with addiction. In the 1980s he served as undersecretary of US Office of Management and Budget. In 1994 The New York Times published a full-page article, “A Wall Street Star’s Agonizing Confession,” about Kudlow’s life and addiction to cocaine. He resigns from his $1-million-a-year job as chief economist at the Wall Street firm of Bear Stearns and later says, “As I hit bottom, I lost jobs, lost all income, lost friends, and very nearly lost my wife. I was willing to surrender and take it on faith that I had to change my life.” I started searching for God.” Then, “All of a sudden it clicked, that . . . Jesus died for me, too.” Kudlow is now chief economist for CNBC and a frequent writer of articles that make the science of economics understandable to readers. Richard Wurmbrand, born into a Jewish home in Europe and founder of The Voice of the Martyrs, dies at age 91. After becoming a believer in Romania in 1936 and then a pastor, Wurmbrand and his wife are arrested several times by the Nazi government. He evangelizes Russian soldiers who are prisoners of war and does the same with Russian occupation forces after August, 1944. Communist leaders imprison Wurmbrand in 1948, subject him to physical and mental torture, threaten his family, and finally imprison his wife as well. She is released in 1953 and he in 1956, but he is re-arrested in 1959 and sentenced to 25 years for preaching Scriptures that are contrary to Communist doctrine. Political pressure from Western countries leads to his release in 1964. The Wurmbrand family leaves Romania in 1965 and begins informing the world about persecution of Christians in that country and elsewhere. By the mid-1980s The Voice of the Martyrs has offices in 30 countries and is working in 80 nations where Christians are threatened. This selection compiled by Mottel Baleston. It would be an obvious mistake to portray European involvement in Africa as entirely benevolent. But not all Europeans moving to Africa were baddies. Likewise it would be false to give the impression that the communication of the Christian gospel was always welcomed as an ally to colonial interests. We must learn to separate European and colonial agendas in Africa from specifically Christian ones. But even the ‘Christians’ hindered the impulse to serve local people. Sometimes settled European communities were extremely nervous about the Christianisation of Africans. For example, Jonathan Hildebrandt, in his ‘History of the Church in Africa’, tells how the Dutch made the evangelisation of local people in the Cape practically impossible. Moravian missionaries were successfully building relationships, sharing the gospel and baptising new converts, but were very deliberately stopped. The Moravian missionary George Schmidt baptised several Khoikhoi believers but this drew resistance from the Dutch church in the Cape. ‘They made a complaint in Cape Town that Schmidt had conducted the baptisms incorrectly and so should not be allowed to continue working in that area. ‘The Dutch made the work so difficult that Schmidt was forced to leave for Europe in 1744. He tried to return to South Africa to continue the work, but the Dutch would not permit it. Those who did return were Moravian (German) missionaries who were so successful that a church facility able to hold 1000 worshipers from amongst the Khoikhoi was built. 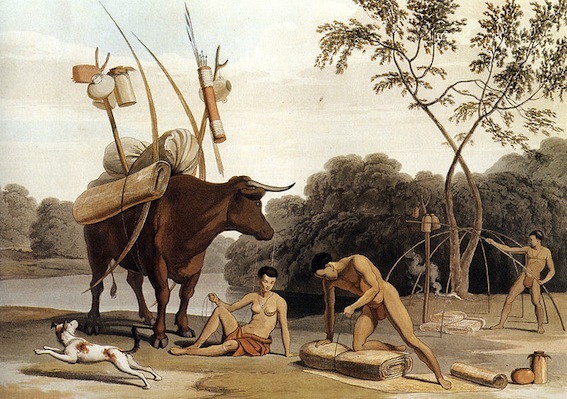 By 1810 an established Khoikhoi Christian community was thriving. The struggle to bring the gospel to modern Africa was tangible from the earliest era of the modern missionary movement. This was also true of attempts to bring the gospel into central Africa, with disease and violent opposition as standard trials for those who came. It is not accurate to merely mention William Carey as an inspiration for global mission. His legacy, and the breadth of his involvement and influence in Indian life, does not allow us to pass by him quickly. Here was an ordinary man, a shoemaker by trade, converted to Christ, filled with the Holy Spirit, and set on a life of service to those who don’t know Christ. He grasped, as we should, that the Christian Gospel impacts the whole of life – not only how one prays in private, important though that is. He saw the gospel as a powerful manifestation of grace that reconciles us to the Holy God, and enhances our intellectual, moral and social life. As a result, we’ve seen how his career as a missionary in India places him in a unique position as a helper to India’s freedom. In the light of such achievements and areas of involvement we would do well to ask ourselves how far reaching our influence could be? And, once again, as I have said several times, such a study of Carey should challenge, if not obliterate, the oft-repeated slander that the missionaries sent from Europe were primarily self-serving or Empire-serving lackeys. Rubbish! That Carey’s life-long devotion to the liberation of India was costly will be examined next time as we consider the impact it made on his family, and more specifically, on his wife, Dorothy. ‘They told me it was a great act of holiness, and added in a very surly manner, that if I did not like to see it I might go farther off, and desired me to go. ‘I told them that I would not go, that I was determined to stay and see the murder, and I should certainly bear witness of it at the tribunal of God. ‘It was impossible to have heard the woman had she groaned or even cried aloud, on account of the mad noise of the people, and it was impossible for her to stir or struggle on account of the bamboos which were held down on her like the levers of a press. ‘We made much objection to their using these bamboos, and insisted that it was using force to prevent the woman from getting up when the fire burned her. ‘But they declared that it was only done to keep the pile from falling down. 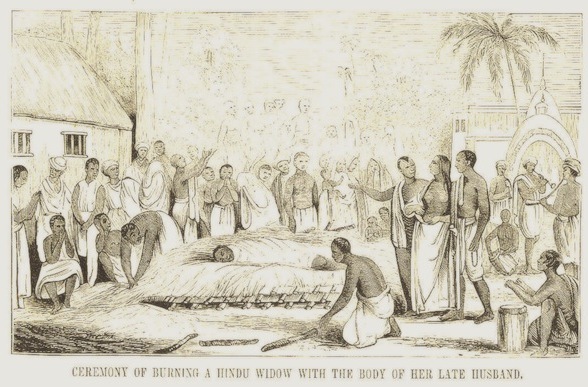 Carey vigourously investigated incidents of Sati, widow-burning, and publicised them both in India and England. Carey’s wasn’t the only voice raised against the injustices against women in India at the time but both Indian historians and Indian religious leaders acknowledge his central role and influence. We’ve been examining William Carey’s career as a missionary in India. And we’ve already seen conclusive evidence that Carey does not correspond to the standard misrepresentation of the 19th Century missionary (typically, a culturally insensitive European male, peddling, in religious guise, the agenda of his colonial masters). But there were moments when Carey quite deliberately sought to change local customs; to bring biblical thinking to bear on the culture in which he was a guest. ‘The male in India was crushing the female through polygamy, female infanticide, child marriage, widow burning, euthanasia and forced female illiteracy, all sanctioned by religion. Of particular horror to Carey, as well as to others, was the shocking practice of burning widows on their husband’s funeral pyre. This practice, known as Sati, was an accepted part of India’s cultural and religious life. 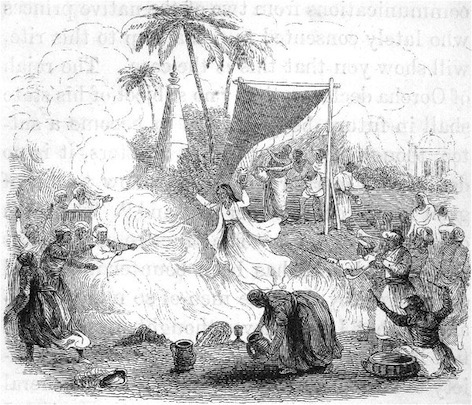 A widow throwing herself into the fire and being burned alive was considered an act of great devotion to her husband, purification for her and possibly salvation for her husband’s forefathers. The stigma attached to her remaining alive, both as a financial burden and a social embarrassment to her in-laws, was a strong incentive for them to urge her to ‘do the noble thing’. Although this was apparently not universally practiced across India it was not something uncommon. Carey personally witnessed a widow-burning in 1799. He wrote, ‘We were near the village of Noya Serai…Being evening, we got out of the boat to walk, when we saw a number of people assembled on the riverside. ‘I asked them what they were met for, and they told me to burn the body of a dead man. ‘I inquired if his wife would be burned with him; they answered yes, and pointed to the woman. ‘She was standing by the pile, which was made of large billets of wood, about 2½ feet high, 4 feet long, and 2 wide, and on the top of which lay the dead body of her husband. ‘Her nearest relation stood by her, and near her was a small basket of sweetmeats. ‘I asked them if this was the woman’s choice, or if she were brought to it by an improper influence. I talked till reasoning was of no use and then began to exclaim…that it was a shocking murder. In our imaginary Quiz, where Indian students are asked the question ‘Who was William Carey?’ several answers have been given which prove Carey’s missionary interest was to benefit the peoples of India. 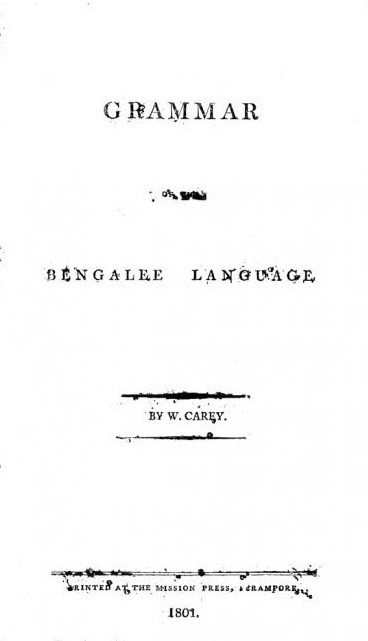 ‘Carey was the first man to translate and publish great Indian religious classics such as the Ramayana, and philosophical treaties such as Samkhya into English,’ says a student of Literature. The picture we are compiling of the 19th Century missionary William Carey is not one of a blundering, insensitive cad who couldn’t care less about local culture but wants to stupefy the ‘natives’ into compliance with the colonial agenda. Rather, we are seeing a deeply inspiring portrait of a man sent to serve; a man eager to understand the philosophical presuppositions of those he seeks to benefit. This is no culture destroyer but someone seeking to strengthen a people, and bring them knowledge already gained elsewhere, enabling them to both believe the gospel and build a fairer and stronger society. And if you’re tempted to think, ‘Ah! It’s obvious that you, a Westerner, would say that!’ then please keep in mind that I am drawing heavily upon the expertise and research of Indologist, and Indian expert Vishal Mangalwadi. William Carey, the so-called Father of Modern Missions gave his allegiance first to Jesus Christ. Then he gave his allegiance to Jesus’ Mission. Finally, he gave his allegiance to the peoples of India. The somewhat outdated and negative view of the missionary has at least got one thing right: the missionary was indeed trying to influence culture. The negative view has them destroying local culture and manipulating the indigenous population, making them dress and behave like foreigners in order to make them passively submit to a Western colonial agenda. The idea of ‘God’ was the most powerful tool in their manipulative process. At best these Victorian missionaries are viewed as naïve and under the spell of the ‘Empire’ themselves – at worst, deliberately undermining and destroying the innocent culture of an unspoilt people. In the last post we saw how one brilliant Indian intellectual viewed the missionary work of William Carey, particularly as it related to Carey’s desire to put the Bible into the hands of Indian people. We saw how the careful translation work of the Bible actually helped preserve local languages in India. Carey’s Quiz – What Did Carey Do? 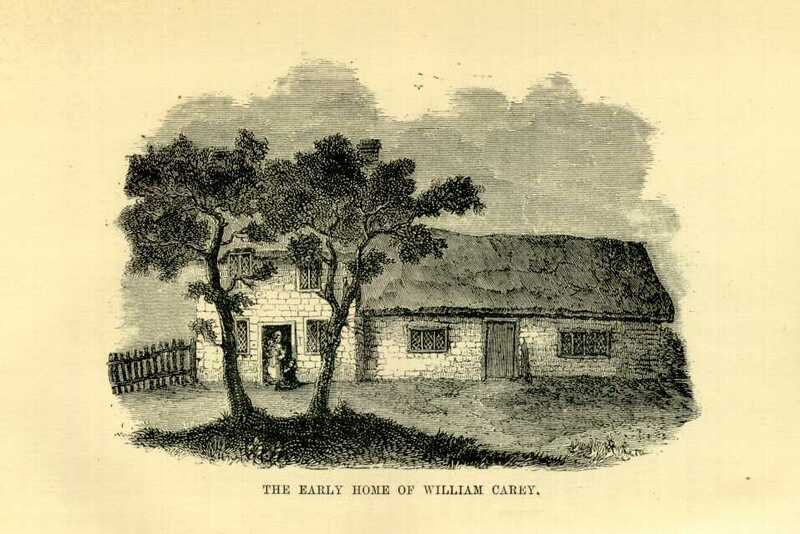 ‘William Carey was the botanist after whom Careya herbacea is named. It is one of the three varieties of Eucalyptus, found only in India. ‘Carey brought the English daisy to India and introduced the Linnaean system to gardening. He also published the first books on science and natural history in India such as ‘Flora Indica’…Carey believed that nature is declared ‘good’ by its Creator; it is not ‘maya’ (illusion), to be shunned, but a subject worthy of human study. 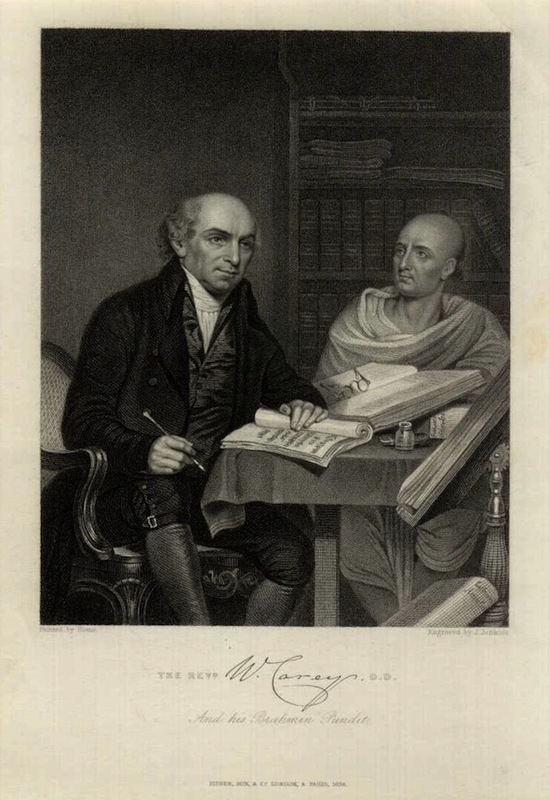 We’ve already seen how the first major contribution William Carey made to India was to teach that reform was not only necessary but possible. ‘The idea of Karma is that an impersonal law rules our destiny and automatically gives us the consequences of our actions. Following the example of the Protestant Reformers of the 16th Century, Carey knew that in order to achieve spiritual and social liberation, the Bible must be translated into the languages in common use (vernacular). 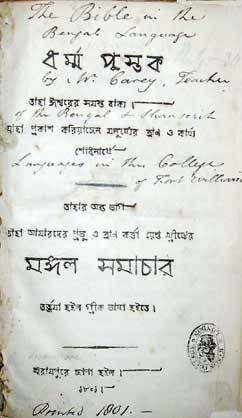 Mangalwadi argues that this was the first step towards modernisation – the availability of knowledge in the language of the people. This meant the possibility of education for the masses as well as their protection from exploitation through ignorance. To Carey it was obvious that the most important text to translate was the Bible. Mangalwadi writes: ‘A key factor in modernisation which Carey tried to popularise is that the spoken language of the people should also be the language of learning, the language of industry, of marketing, and of governing. ‘A feature of a medieval society is its use of an elitist language as a means of discriminating, and also as a method of granting to an aristocracy unearned privileges. Carey became utterly consumed with the need to record, write and understand the local languages – in order that he might deliver the Bible to the people. He translated and published the Bible into nearly 40 different languages. He started more than 100 schools and began the first college in Asia to teach in an Asian language (Bengali). We know that mistakes were made, but the next time you hear the legacy of self-sacrificing, good-hearted missionaries slandered in the lecture hall, or classroom, in conversation or on TV, remember the work of William Carey and Vishal Mangalwadi’s assessment of his contribution to India. ‘Carey’s mission to India inaugurated a new era in the history of the Christian church.’ So says biographer Timothy George. Certainly his impact on the Western church was great. But author and Indologist, Vishal Mangalwadi focuses on Carey’s impact on India itself. This makes for fascinating and challenging reading! Mangalwadi sees Carey not only as an Evangelist but as a Reformer, and a man of courage and faith. Part of the resistance to reform, Mangalwadi argues, was the traditional doctrine of karma, which teaches that the earth is the place where souls are living out the deserved consequences of the sins of former lives. Therefore to reform, to alleviate suffering, to initiate an escape from that suffering was to violate this process. ‘This was not all; if karma, stars, and demons did leave some freedom for a person, it was severely limited by the Hindu scriptures, written, often, from Brahmanical self-interest. ‘[Hence] the scriptural mandates behind India’s social and intellectual evils worked powerfully against reforms…Is reform possible when religion defends evil and the State is committed not to interfere with religion? ‘Carey’s faith in a transcendant Ruler, the God of History who was above human rulers, sustained him against all odds. ‘One result of his success has been that since his day, most Indians (including even those who believe in karma, reincarnation, astrology, Brahmanical scriptures etc) now tend to agree that reform is possible. They are forced to reject the fatalistic idea that reform is not possible. That’s a pretty impressive perspective from an expert on Indian thought and history. But Carey was a practical Reformer, and not primarily a philosopher. His efforts launched a vast number of practical projects and initiatives in Indian society. William Carey is known among evangelicals because of his missionary initiative – and his subsequent impact on 19th century missions to all parts of the globe. His actual work in India has received less attention. This may be, in part, because it took Carey and his workers a full seven years before they saw their first Indian profess faith in Christ. That doesn’t fit too well into a modern exhortation leave all and go into the world with the gospel! But Indian author and speaker Vishal Mangalwadi has done us a great service by publishing on Carey. Vishal himself deserves a wide audience and his books deserve careful consideration. As an Indian observing the West his insights are piercing. 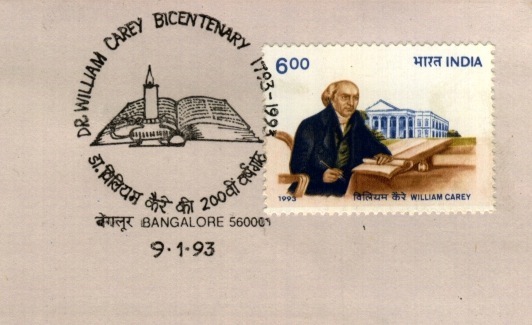 In the book, ‘William Carey and the Regeneration of India’ Vishal and his wife Ruth outline for us the incredible impact Carey had on the modernisation and freedom of modern India. The British view of India during Carey’s time was not particularly benevolent. Historian Lord Macaulay described the British East India Company as ‘a gang of public robbers’. Mangalwadi says that even British humanitarians visiting India tended to romanticise ‘the customs and wisdom of the natives’ rather than rebuke the greed of the Company. Their desire to establish an Indian elite seemed an attempt to replicate class distinctions rather than benefit the people. Changes did eventually come, when Wilberforce, Charles Grant and others were able to form an ‘evangelical’ core within the governors of the Company. But before that time Carey stands out as a true servant of India and her people. The first impulse in Carey’s understanding was, of course, that men and women should repent of their sin and come to Christ for forgiveness and personal transformation. Only then could families and society be impacted by the gospel. In order to advance this cause Carey set about translating the Bible into local languages. But Bible translation, for which Carey is famous, was by no means his only work. He became involved in a vast array of technological improvements and innovations that would be impressive were we dealing with a whole denomination of men and women, and not just one man. William Wilberforce was, as yet, unable to change the policy of the British with respect to missionaries going to India. Parliament refused to change their Indian policy to include ‘religious improvement’ as Wilberforce had hoped. It’s interesting to note that the celebrated hero of the abolition of slavery bill was keenly involved in encouraging Christianity in India. Wilberforce was a Christian first and a politician second. 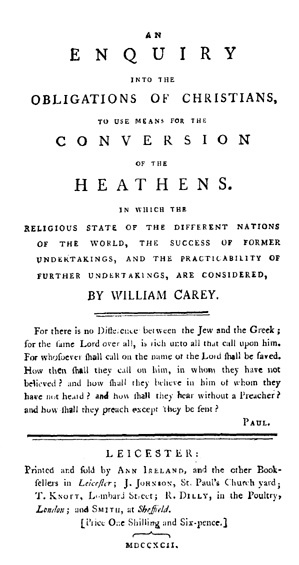 William Carey attempted, perhaps in response to John Newton’s bad advice, to sail to India without a visa (or licence, as it was called then). But, although the Captain of the ship had allowed Carey to board, when a warning of legal action came from the British authorities, Carey and the team were ordered to disembark. They watched in tears, as the only apparent means of their getting to India pulled out of the harbour – without them! At this point Carey actually considered getting to India by land – a journey that would have taken many months. Finally good news – a non-British ship, a Danish ship, was sailing to India and would take them. Finally there was a way around British resistance to missions. And a further apparent answer to prayer was that, after much persuasion, Dorothy Carey, her sister, and all the children had agreed to join William and the others in the first modern attempt to take the message of the gospel to the people of India. While many assert that European missionaries were merely the puppets of colonialists and empire builders, William Carey’s story surely provides an example that this was by no means the whole truth. Perhaps there were some hopeless, arrogant, religious manipulators who were serving money rather than God. But could this really characterise the many who forsook comfortable ministries in Europe in order to try and serve other nations with the gospel? The fact is that this was a tough and notoriously uncomfortable assignment – with little money involved. There’s no question that 19th Century Europeans generally assumed their culture – and their race – was inherently superior to that of the colonised peoples; nor should it be a debate that to colonise (for one country to take possession of the land and peoples of another) is fundamentally wrong. And these good guys doubtless made the kind of cultural mistakes and faux pas that we still make today, in business globally, as well as in understanding and respecting other cultures. That Carey was no destroyer of local language or culture will be seen in future posts. For now, though, it was a great relief for him just to be on the way. I am clear that I am called to go! John Newton, who told William Carey to take his chances with immigration! William Carey had already stirred up a new interest in world mission. He had already prompted the formation of a ‘Missionary Society’ which had begun to raise funds for world mission. Now came the real test: who should go? For Carey it was clear. He knew he had been called by God to go (George, Faithful Witness,IVP p.76). What may seem strange to us is that his wife and family would not be going with him. He had a clear call to India – an ‘appointment’, he called it. But Dorothy was not keen to go, and only consented that their eldest son should go with him until he was able to establish a home there. Then, possibly, the rest of the family would follow. So the original party was to be William, his eight year old son, Felix, and another minister, John Thomas. But all that was to change, as we shall see. In a final service in London, Carey shared his dream of translating the Bible in to the local Indian languages. A printer, William Ward, was in the congregation and spoke with Carey afterwards. ‘You must come over and print it for us!’ said Carey. Seven years later he did just that. Carey had no official documentation or permission to preach in the British territories in India. In fact, the Empire kept missionaries out. The gospel inevitably leads to emancipation and while you could go as a chaplain to expats it was not at all easy to go as a church planter amongst locals. Empire and missionary work did not always go hand in hand – as we are often led to believe. Carey went to the converted slaver and, now, Anglican Minister John Newton for advice. 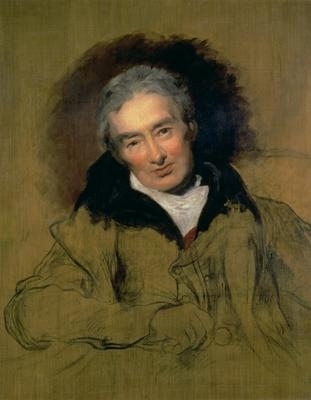 Carey urged Newton to try and get special permission from the East India Company for Carey’s work but he failed. William Wilberforce, who was working hard in the background to have the company’s policy towards evangelism changed, had not succeeded yet in adding the possibility of ‘religious improvement’ to the responsibilities of the company, thus clearing a way for church planters to go officially. It seemed they were unlikely to get on board any ship bound for India without the proper licence. It may come as a surprise to those unaware of the influence of Reformed thinkers and pioneers but it’s true. William Carey was a Calvinist. To those who are familiar with church history, of course, this is not particularly surprising. There have been passionate, missional, church-planting pioneers and Evangelists on both sides of the theological debate: Reformed or Arminian. The causes of the church’s lack of evangelistic zeal are usually found elsewhere – weak leadership, worldliness, lack of Holy Spirit power, unbelief, fear – and it is shameful that great and glorious doctrines are used as a kind of fig leaf. Dr Thomas Schirrmacher writes, ‘Carey was a Protestant by conviction…The turning point, he believed, was reached by the Reformers. ‘He names especially Luther, Calvin, Melanchthon, Bucer and Peter Martyr. He [said, in ‘The Enquiry’, that]… missionaries must, among other things, be “of undoubted orthodoxy in their sentiments” [ie, Reformed]. ‘Carey’s theology is not only unusual for modern tastes in its Postmillennialism, but also in its Calvinist soteriology, for many now believe that the doctrine of predestination extinguishes missionary effort rather than intensifying it. So Carey was a Calvinist. Let all Reformed bloggers rejoice! Well, not so fast! Carey’s passion wasn’t exhausted by writing intense, Scripture-filled blogs, letters to the editor, or even in crafting water-tight sermons that harmonise good doctrine and the need for missional churches. No, he didn’t just preach well that others should go, he and his family left for India in 1793. Radical. Normal. 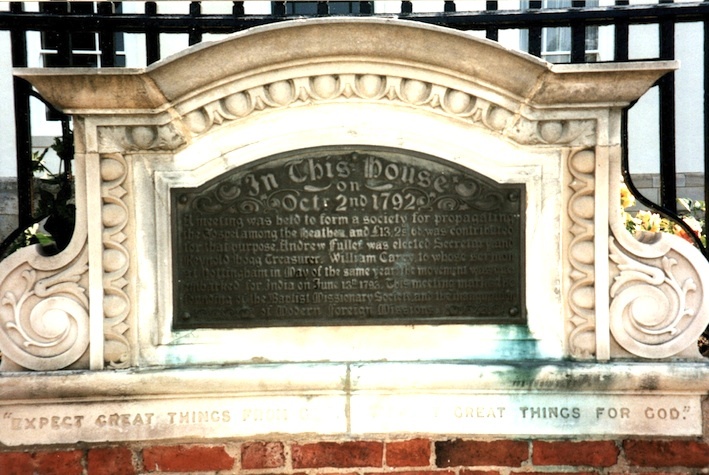 As a result of his ‘Expect Great Things’ sermon some friends gathered in 1792 in Kettering, England, formed the Baptist Missionary Society and raised just over thirteen pounds for worldwide evangelisation! In 1790 William Carey, agitated by the church’s lack of concern for global evangelisation, proposed the formation of a society for world mission. Merely praying for the success of the gospel wasn’t enough – something further must be done: ‘means’ as they called them, must be used to bring the gospel to the world. The publication was followed by an historic sermon at a gathering of Baptist ministers in Nottingham in 1792. The sermon was not written or published, but we are told that Carey predicted the restoration of the church and the dawn of a new era of missions. The church is, therefore, urged to go to the work of mission full of faith. The impact of a good sermon! But this message, and the publication of the Enquiry, which outlined the need for missions and the responsibility of the churches, marked a new beginning. It was agreed that a meeting would take place in Kettering to discuss the formation of a Missionary Society for the evangelisation of the world. In 1781, the 19 year old William Carey married 25 year old Dorothy Plackett and they lived in humble circumstances. They were married for 26 years and had seven children. Theirs was a life of real challenges, the death of their two year old daughter, Ann, as well as the constant pressure of poverty. William himself nearly died of a fever early in their married life. The sickness left him bald for the rest of his life. But they built a life together in service to Christ for the spread of the gospel. In the years before they sailed to India, Carey pastored two Baptist churches, in Moulton and Leicester. In 1783 an important book was published. It gained the attention of the English speaking world, and particularly William Carey. Yorkshireman Captain James Cook was already as close to a ‘household name’ as you could get. 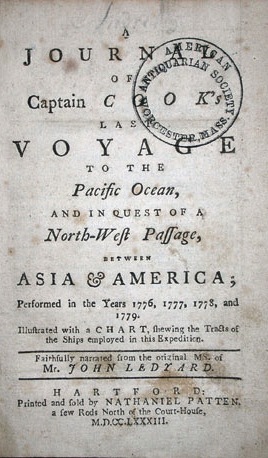 The adventurer and explorer had been killed in Hawaii in 1779 and the Journal of his last voyages was published in 1783. Cook’s statement reveals a spectacular misunderstanding of the apostolic impulse and is all the more ironic considering both William and Dorothy’s immense sacrifice in order to bring the gospel to India. William Carey is one of the great heroes of the Christian Faith. He was born into a family who considered the Church of England to be the authorised church of the English people. But when he heard the gospel and started to read the Bible, he realised he needed to find out more. He began to be drawn to those called ‘Dissenters’. 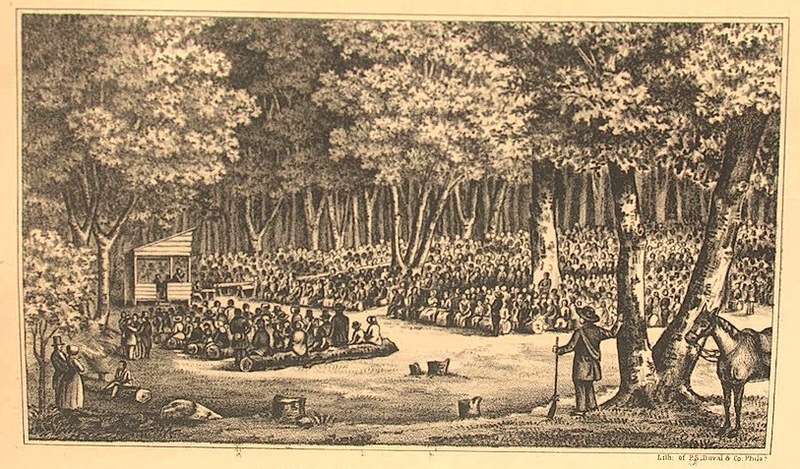 Nevertheless, the young Carey began preaching amongst them. First, in a house-church in Earls Barton, Northamptonshire and then later as an ordained Dissenting Pastor in Moulton. They were tough years for Carey and his new bride, but they were years of preparation. Carey was a child of the Church of England, having been christened as a baby and assuming, as almost everyone did in 18th Century England, that any other kind of church was probably not a real church at all. There was certainly no reason to reject the traditions of the church, nor to submit to a second baptism. He had already been ‘baptised’ as a baby. But one of the other apprentices he worked alongside, John Warr, was not a member of the Church of England. He was one of these so-called Dissenters. And, rather than being strange or artificial, Warr had a clear and coherent faith in Christ. Kettering is a small town just 80 or so miles northwest of London, England, and which dates back to Roman times. Chances are that nowadays you would just drive past it on your way to somewhere else. But it was here, in this humble, quiet town that an event took place the ramifications of which have truly changed the world. It was here in Kettering that the evangelical churches finally caught up with the Moravians and a new century of Christian missions would begin when William Carey and a few like minded friends raised thirteen pounds, two shillings and sixpence to reach the whole wide world with the gospel. If the powerful activity of the Spirit in the 18th century had served to awaken the English speaking world to the claims of Christ then His continued outpouring in the 19th century propelled the gospel to many other nations. Instead of being weakened by the growing tide of rationalism and unbelief amongst scholars and academics the church radically invested in mission. 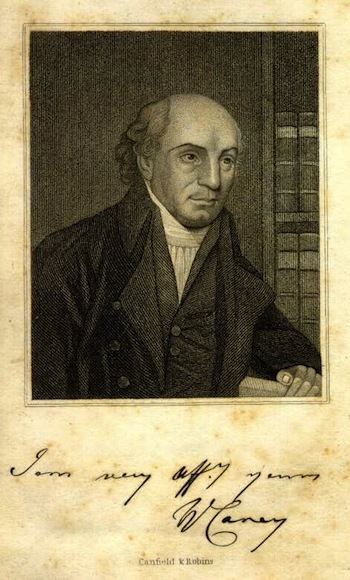 William Carey was born in 1761, right in the thick of the Great Awakening led by George Whitefield and John Wesley. He was born, not too far from Kettering, in a village called Paulerspury in Northamptonshire. His father was a poor schoolmaster who apprenticed him to a local shoemaker aged only 14. And so, William Carey became a shoemaker by trade. Like so many other heroes in the unfolding story of the Christian Church, Carey received no tertiary education and did not go to University.